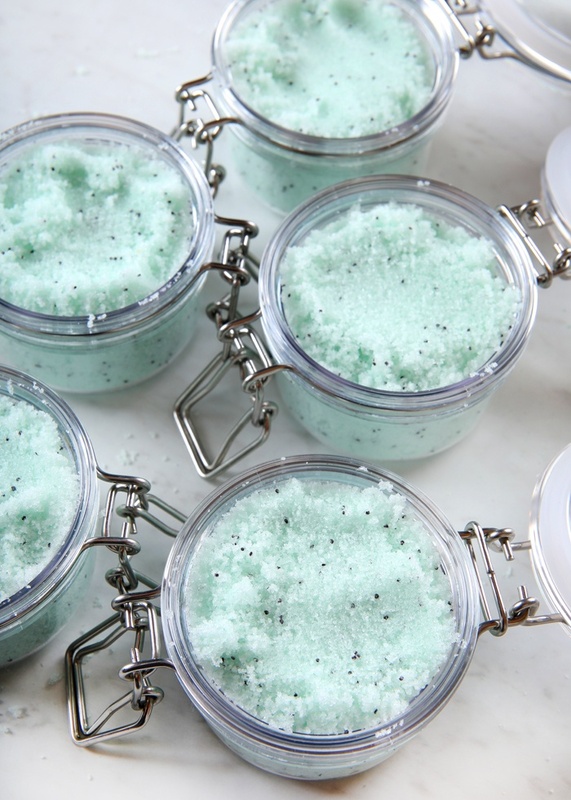 Sugar scrubs are great for exfoliating dry skin on the legs, arms, and body. This one is made with agave extract, so skin is left feeling moisturized as well. Kelly Green Mica gives the mixture a fresh color that complements the Lush Succulent Fragrance Oil. 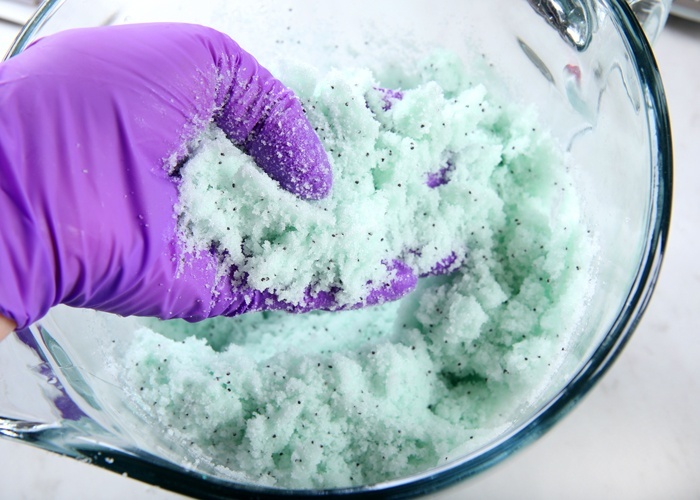 We didn't add a preservative to this scrub because it doesn't contain water. If you want to use one, we recommend an oil-soluble preservative like Optiphen. Learn more in our Preservatives Quick Guide. Once the scrub is transferred into jars, we decorated them with the Botanical Garden Soap Wrap. Simply cut strips of the paper and secure with double-sided tape. It's a quick and easy way to give your projects a polished finishing touch. 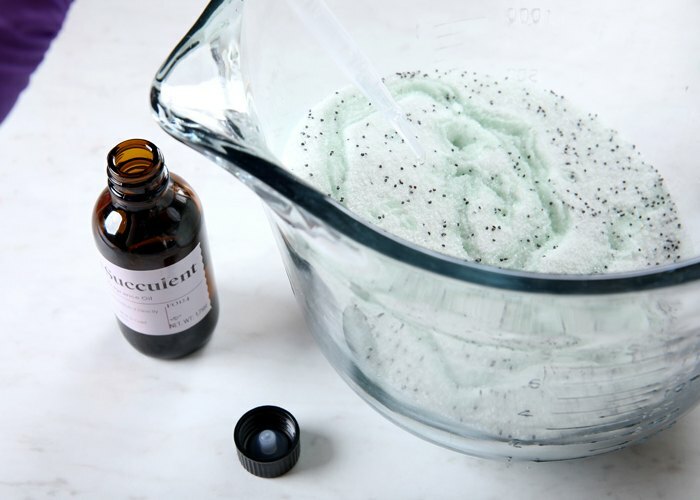 This scrub leaves skin feeling smooth. Lush Succulent Fragrance Oil adds a fresh and green scent. NOTE: This recipe doesn't contain a preservative - because it's not made with water, it's not required. If you want to be extra cautious because scrubs are often stored in the shower and may come in contact with water, you can add an oil-soluble preservative at 1%. We recommend Optiphen. Click here to learn more about preservatives in your projects. 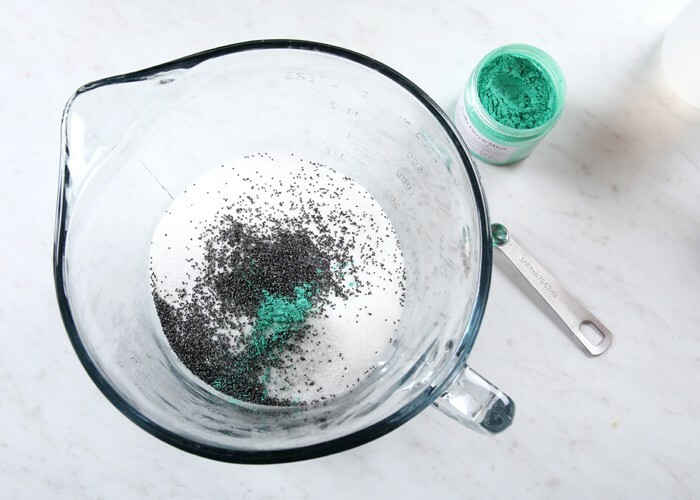 In a large container, add 16 ounces of granulated sugar, 1 teaspoon of poppy seeds, and 1/16th teaspoon of Kelly Green Mica. Mix all the ingredients together. Add 1.5 ounces of agave extract and 6 mL of Lush Succulent Fragrance Oil. Mix in the wet ingredients thoroughly. Transfer the mixture to jars and enjoy! To use, apply to wet skin and gently scrub. Rinse.